There are many aspects of modern life which might be seen as obvious triggers for mental health issues – bereavement, a relationship breakup, loss of employment, financial strains – but one less obvious topic is something much more fundamental. Diet. The food and drink we choose to ingest can have an immense influence on our mental wellbeing. All the scientific evidence points to the key role nutrition plays in your short-term and longer-term mental health, from depression to schizophrenia. In addition, it forms an influential part in the managing and preventing of the onset of issues such as Alzheimer’s disease. When it comes to a positive diet, mental health issues are clearly influenced by many of the same factors as physical ones. Studies have shown almost two-thirds of those who did not present mental health issues at all drank fruit juice or ate fresh fruit on a daily basis, a fact that was repeated with vegetables and salads. People who were mindful of eating a lot of fruit and vegetables, along with organic meals, and who prepared a lot of their cuisine from scratch by using natural ingredients, also felt much better in terms of their overall mental health. The reverse was the case with individuals whose consumption relied heavily on processed food and takeaways, complimented with unhealthy treats such as chips, crisps, or chocolate. In terms of mental health well-being, it can clearly be stated that any diet which comprises complex carbohydrates, essential fats, amino acids, a variety of vitamins and minerals, augmented by drinking a lot of water, will provide the good balance necessary for positive mental health. While a healthy diet in itself is not a cure-all for mental or physical health, it will certainly help when practiced alongside the more traditional treatments that would be recommended by health professionals. So when it comes to considering a diet that will improve mental health well-being, what items should be focused on? It would be far better to cut down on high sugar foods and focus on wholegrain cereals. Nuts, lentils, and beans are also excellent, as well as the aforementioned fruit and vegetables. 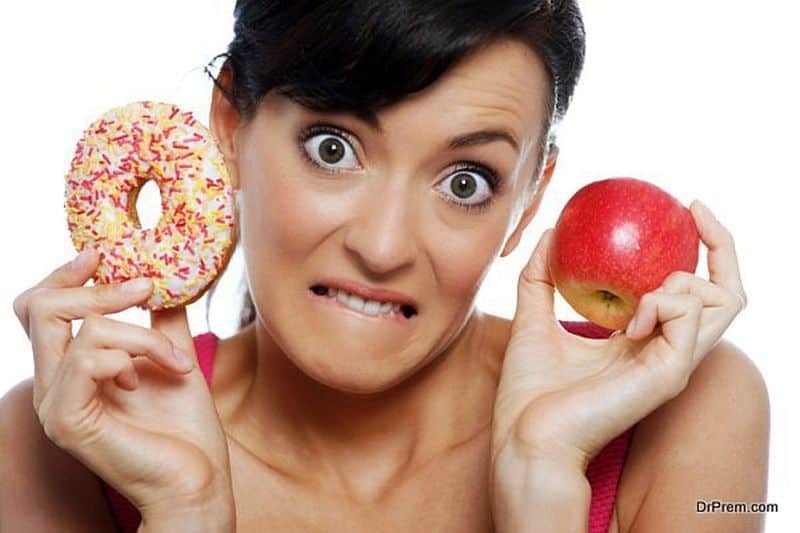 The problem with excessively sugary food is it can be quickly absorbed into the bloodstream. While this can cause an initial rush of energy, this will quickly wear off as the body overcompensates by boosting its production of insulin. The side-effect of this will be to leave feelings of lethargy, as well as exacerbating a sense of depression. These are obviously factors which can promote mental health issues in the longer-term. Cereals, pulses, fruits, and vegetables will fill the stomach much more readily than quick fixes. The reason for this is the body absorbs the sugar in these products far more slowly. This avoids the rollercoastering mood swings caused by fatty or sugary foods. Nutritious foods will contain a vitamin called Thiamine (B1), associated with its ability to control mood as well as folate and zinc supplements, which have been demonstrated to have a marked improvement on people who are suffering from depression. A modicum of online research will assist in recommending the types of nutritional products you should be considering when it comes to looking after your physical and mental wellbeing. In fact, the Internet could also be used to enhance your positive lifestyle holistically. Why not use your social media platform to promote your healthy diet and spread the word? Taking that a stage further, you could incorporate cpa advertising to link your articles to your most recommended health supplements and favourite nutritional meals.